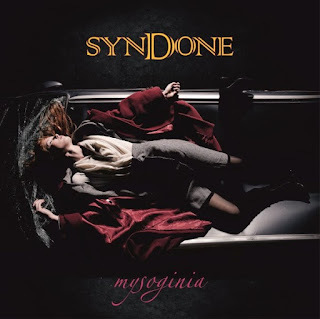 Italian Prog Ensemble Syndone To Release Seventh Album "Mysoginia"
The new road to symphonic rock! Italy - Much to the excitement of Prog fans worldwide, Italian ensemble Syndone is releasing their seventh album “Mysoginia”! Born in 1989, in the wake of the second progressive wave, Syndone – led by Nik Comoglio – have delved into every aspect of niche music during their first quarter of a century. Seven excellent albums (“Spleen”/1990, “Inca”/1992, “Melapesante”/2010, “La Bella è la Bestia”/2012 and “Odysséas”/2014, “Eros & Thanatos”/2016 and the new “Mysoginia”/2018) have come out of this collaboration, contaminated with tones that, more often than not, have gone beyond all codes and frontiers. Their sound – which reflects the moods of Emerson Lake & Palmer to a certain extent – is not restricted to a slavish reading of the British band though. It tends to revitalise their spirit with formulas that have little to do with the style per se and move towards new shores, new sounds characterised by a rock background with extensive classical openings (sometimes played on strings), all tied together by a very expressive, sometimes theatrical, voice which brings everything together in an original, cultural and innovative product. 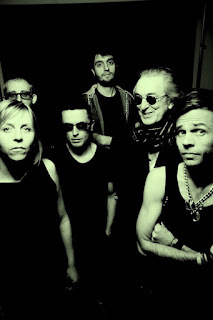 Syndone is the band that it trying to re-launch progressive rock onto the Italian and European scene, in an attempt to give it a new lease of life, while remaining closely attached to its cultural roots.